Here is what our clients are saying about us..
Project description: Full renovation including side return and loft extension. 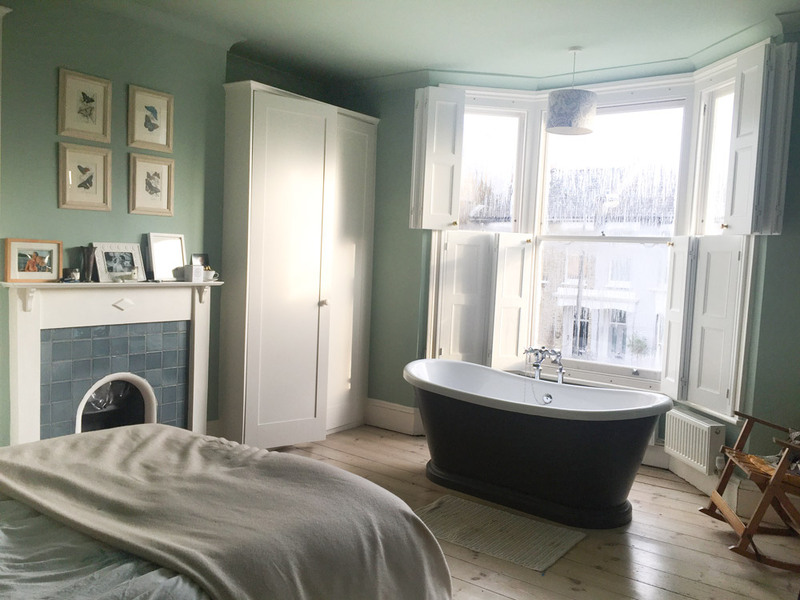 "Aristeia helped us with the complete renovation of our 4 bedroom London property. It was a big job as the house was a wreck and with a newborn baby we were desperate to get in done as quickly as possible. They finished it in quicker than expected and within budget and we have been delighted with it ever since. They were always helpful and resourceful and i couldn't recommend them more highly." "Aristeia Ltd did a fantastic job on our kitchen extension and ground floor remodel – unfailingly helpful, Louisa is extremely clear with her advice and totally got what we wanted out of the project. We couldn’t have done it without her – the project was almost completely stress free despite having a very tight time scale and she got it done on budget and on time! I would highly recommend her." "Louisa Byng of Aristeia was the project manager when we extended & reconfigured our London house in 2015. She organised a surveyor, architect & builder, & took care of party wall agreements & planning permission. She also provided invaluable assistance with interior design, including new kitchen & bathroom, lighting & furnishing. Louisa was a brilliant support throughout the project, which was completed on time & on budget. We recommend her highly." "They delivered a seamless project which not only delivered on time but also on budget." "Aristeia project managed the total refurbishment and extensions of our London house and we could not be happier with the finished result nor recommend them high enough. Their professionalism from start to finish meant we were able to enjoy the whole process without worrying about anything. They delivered a seamless project which not only delivered on time but also on budget. Nothing was too much trouble or effort even at the eleventh hour. Their experience and contacts within the industry helped us make the important decisions without feeling pressured or rushed. Without a doubt we will be calling on their services again when we move and are happily recommending them to friends and colleagues." "I was fortunate enough to have the sense to ask Louisa to take charge of renovating our house in west London. We knew we wanted to add an extra bedroom for the second baby but weren’t sure exactly how, and we were hoping to extend and alter the basement. Louisa came to the table with architect, planning advice and the full suite of skills and knowledge for the project. She took charge of the whole process, procuring design ideas and listening to our requirements. Once planning was underway she arranged the costing process with a number of builders, and explained and challenged the quotes when they arrived, helping us to choose a fantastic building company. We decided to extend the project to include a total renovation of the rest of the house, which Louisa took in her stride and brought so many wonderful ideas and suppliers with her. Although prepared to move out for the build, Louisa saved us a fortune in designing the build process so that we didn’t need to. Once planning was in the builders started that week, building our temporary kitchen and living area. Louisa was there every step of the way, running the weekly project meeting and keeping us up to date. Any hiccup or slight change of plan was dealt with with no hassle. Upstairs was completed (including a phenomenal bathroom, made larger by removal of chimney breast), and the back of the house was removed in time for deepest winter. Louisa managed the builders and a small issue after boiler relocation effortlessly. She was so helpful as we got to the fitting out stage, finding us a marvellous kitchen designer and managing the whole project to be ready for my sister’s wedding. Aristeia were there for us, resolving issues, making huge cost savings, and ensuring the whole project ran on time. I wouldn’t hesitate to recommend her, and indeed have to many friends and colleagues. 5* work ethic, 5* building knowledge and top person to have around!"